One item every closet needs is a classic cashmere sweater. This one comes in 10 colors! The best part of this sweater is how versatile it is. Seriously! 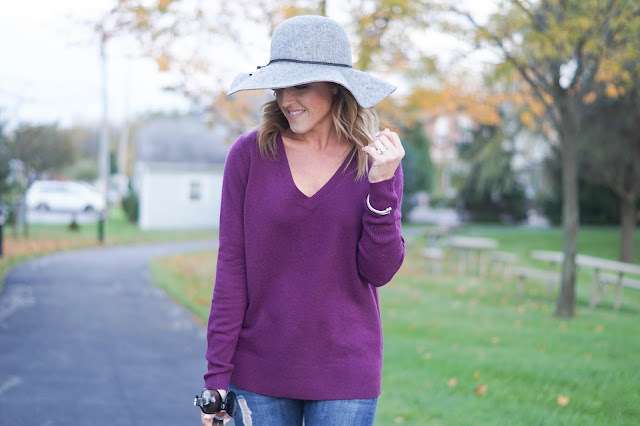 My go-to everyday style is jeans and this sweater adds a classic touch. If you are looking for work-wear style, this sweater would pair perfectly with a skirt or trousers (love these!). It's thin enough to be layered under vests and jackets and the longer length is flattering. I'm very picky about hats. My typical go-to weekend hat would be a baseball cap. (Did you see my velvet hat last weekend on Instagram?) 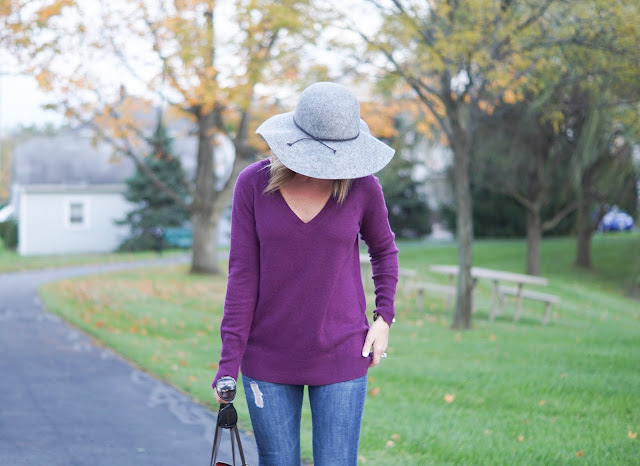 However, I LOVE the look of a classic wool floppy hat. I found this one a couple weeks ago and knew the grey color would go with so much in my closet. It's a simple look but one that look's pulled together. Great advice! I happen to be studying with eachother and in addition came over the website. I presumed I would leave my remark. Idon't know what things to express to I really have.